The ON Cloud II Running Shoe is more than just a running shoe, in fact, it's kind of an all-day-every-day shoe. 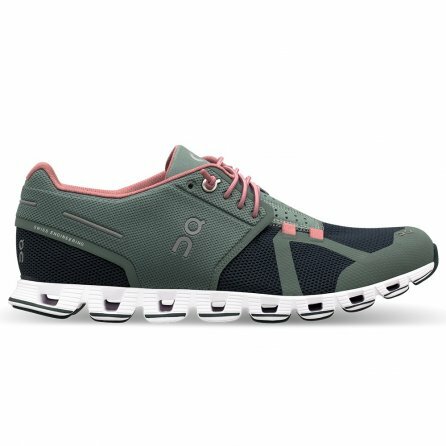 That's because it's designed to keep your feet comfortable whether you're pushing for a personal best or just running errands, using ON's signature Speedboard construction and a CloudTec® outsole that cushions while it supports. Abrasion-resistant panels on the outsole, and no-sew construction on the upper improved durability, and the Easy Entry Lacing System eliminates the need to tie your shoes when you're just stepping outside real quick.